Used on all Worlds Apart My First Readybed, Junior Readybed and many more, these valves simply push into position and are used to inflate and deflate your inflatable product. Constructed from high-quality black plastic with a rubber seal on the underside of the main valve. Repair Kit Heavy Duty Vinyl for inflatables. Ideal for Inflatables, Vinyl Covers, Air Pillows, Water Bags, Vinyl Pool Lingers. 30ml Vinyl Adhesive. About Hot Tub Suppliers. Hot Tub Supplier are distributors of luxury ZSPAS and ZEN SPAS hot tubs designed with the latest Balboa Water Group systems. Ideal For Taking Away With The Family On Any Camping. Sturdy Coil Beam Construction. SINGLE AIR BED. Heavy Duty Repair Patch. 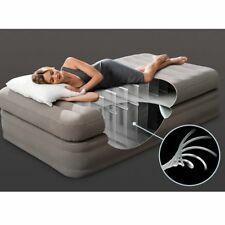 Comfortable Flocked Locked Sleeping Surface. Sturdy Pre-Tested Flocked Vinyl. 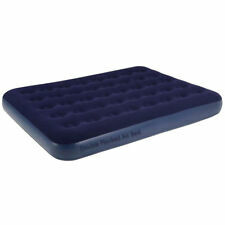 Milestone Camping Single Flocked Airbed - Blue with Pump. The waterproof flocked top prevents sheets from slipping off and also provides a soft velvety feel which adds to the comfort. The airbed folds easily for storage and travel making it perfect for both indoor and outdoor use. 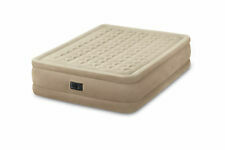 Bestway Pavillo Flexchoice Inflatable Air Bed Mattress. This Pavillo Air Bed from Bestway is quick and easy to install. 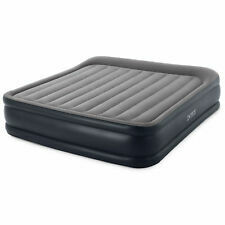 This sturdy, comfortable air bed ensures a unique sleeping experience during camping hiking and for guest in house party. NEW! GREAT FOR FAMILY, FRIENDS & TRIPS! FAST SHIPPING! Note: An External Air Pump is required to inflate this mattress. Wire Harnesses & Face Kits. Keystone Collection - Thick Durable PVC Material, Patented Giga Valve for fast deflation, Supports up to 300 lbs. DOUBLE INFLATABLE FLOCKED VINYL COIL BEAM AIR BED CAMPING RELAX MATTRESS. This is the new inflatable double flocked vinyl coil beam air bed camping relaxing mattress for indoor/outdoor use. 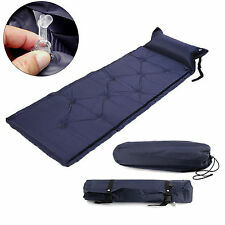 It is an ideal product for camping for quick and easy relax. This latest inflatable from Intex is ideal for your house or for camping and travelling, with its practical transport bag. Intex 64122 inflatable single mattress in blue with extra height and integrated pump. 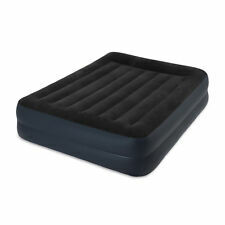 New Intex Classic Downy Inflatable Twin Air Mattress. Classic Downy model. New in the box. Watch TV, read a book or just relax on the sofa and then pull out the cushion into an air mattress when you're ready to sleep. The inflated size is just right for two individuals. Queen Inflatable Pull-Out Sofa Bed. NEW! AUTHORIZED INTEX DEALER! FAST SHIP, WARRANTY! Bolster Love Furniture Handcuff. Cozy Feel Inflatable Pillow Cushion Dual use. Positioning air cushion. Handcuffs 、AnkleBonded to the air cushion. Ergonomic design, comfortable to use, also a wonderful tool for yoga training. Paired with a matching foot stool, the Intex Café Chaise Lounge Inflatable Camping Chair has an advanced structural design making it exceptionally comfortable regardless of whatever height you may be. This pump is suited for airbeds and other large inflatables. Featuring a sleek design that fits in the palm of your hand, it easily inflates even the largest of inflatables in a flash. Easy to use and operates on 120V AC power and plugs into a standard household electrical outlet. NEW! GREAT FOR GUESTS! CARRY BAG INCLUDED! WARRANTY! Waterproof flocked top. Convenient both for indoor and outdoor use. DOUBLE AIR BED. LOTUS GIFTS 2. Supplied is a powerful 240V AC Sidewinder inflation pump to allow rapid inflation of your airbed. It also has a deflation setting to allow quick and easy deflation of the airbed with out the need to manually fold or (we've all done it) roll your body over the airbed.